121 registered members (ad244, 28oz, 53' Stude, 2dogs, 1978elcamino, 2003f7, 11 invisible), 2,127 guests, and 25 spiders. Buddy of mine has a 2012 malibu that had a service engine code P0013. He had recently went to a valvoline instant oil change before this code came up. 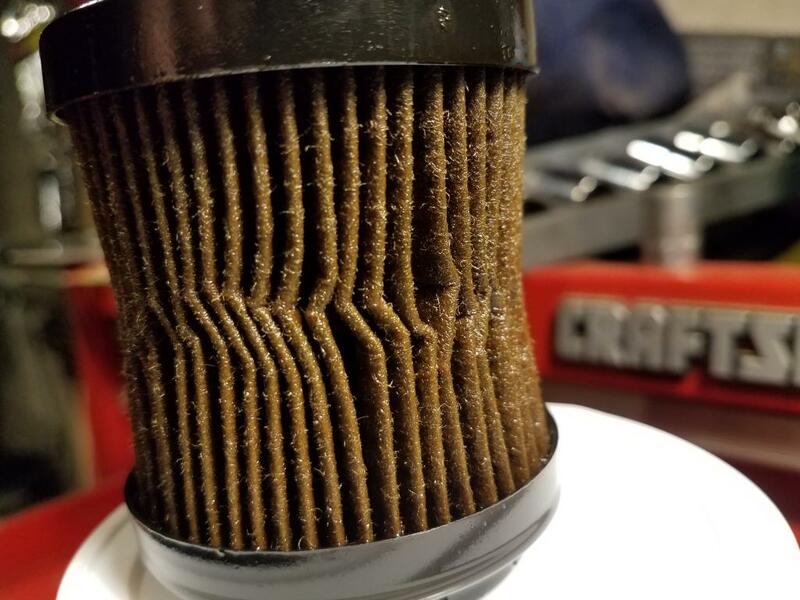 This filter and oil had 2000 miles on it. I changed the oil to Castrol Magnatec 5w30 and a fram ultra 9018. The filter seems to be too long for the application--considering the "crushed" media. I cannot help but wonder how this filter compares to the OEM from an OAL perspective. 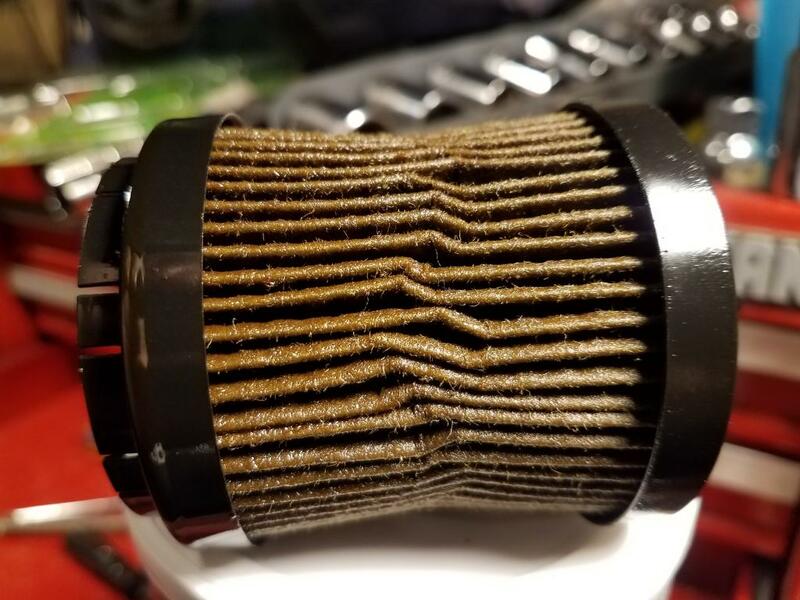 Pretty normal for an oil filter in an ecotec engine - the media bends at the half-way point. 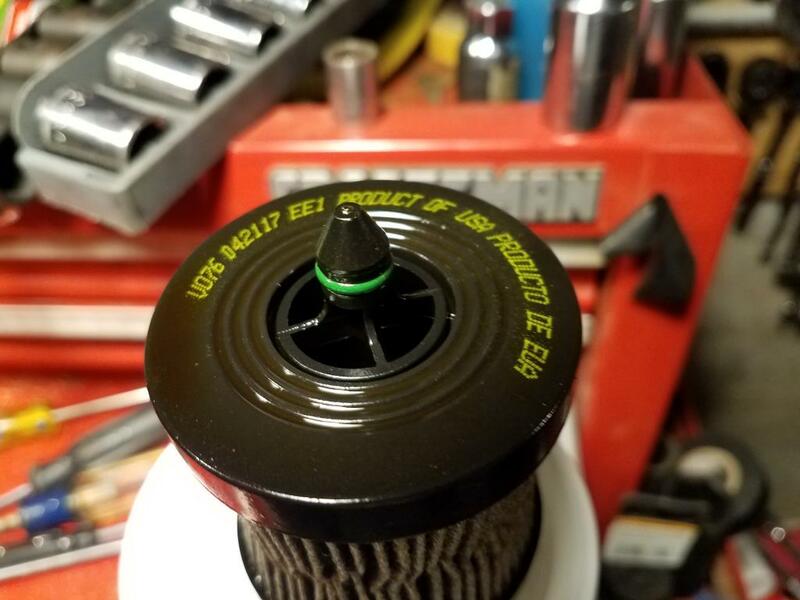 I see it even on ACDelco filters. Dang...too bad that "normal" is close to "failed". Makes me wonder what is happening to the filter, and how far it is compressed during normal operation - does it get compressed far enough to effectively be in bypass? I have read the same thing. My mom has a 2.2 (or is it 2.4) ecotec in the 2007 Saturn Vue. So far I have not found any filter deformities in it, but have not done a lot of changes in it either. I believe it expands when it gets wet with oil. 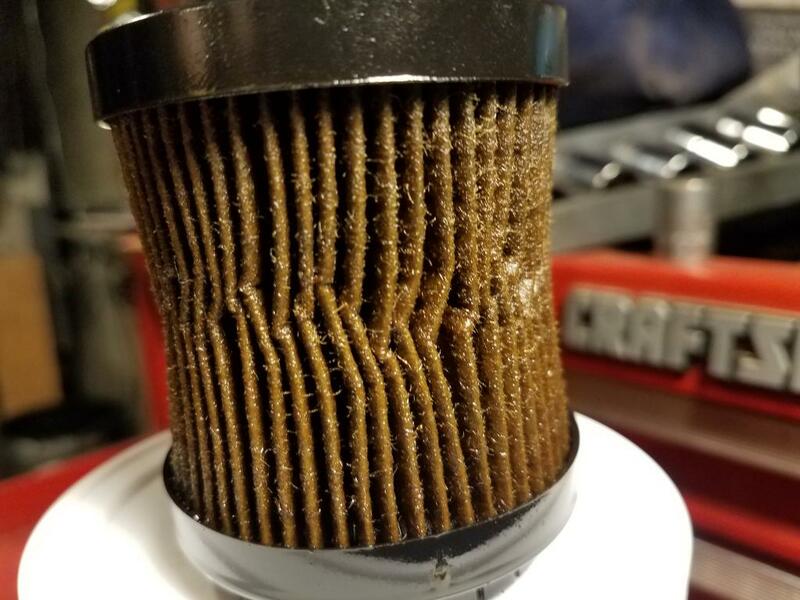 My valvoline filter looked way better than this at 5k miles. I had the spin on though. How does the filter compressing like that cause it to go into bypass? Yuck! The Ultra cartridges have some problems, too. In this case, yes. That is a Champlab date code. Thank you for that info. I will be putting one of those for him in the spring! Are the filter housing and cap designed such that the filter is under constant axial force from a spring, similar to those for Toyota cartridges? If so, and if it had the right dimensions for the application, it looks like the filter was simply not strong enough to withstand that spring force without collapsing partially.